Surya is the Sanskrit word and it means 'Sun'. Mudra means Gesture of Hands. Surya mudra is the Gesture of Sun. Surya Mudra increases Fire element and decreases Earth element within body. This Meditation mudras used for heal better the body and mind. Surya Mudra or hand gesture helps to calm a restless and anxious mind. This mudra helps in digestion of food by increasing metabolism. 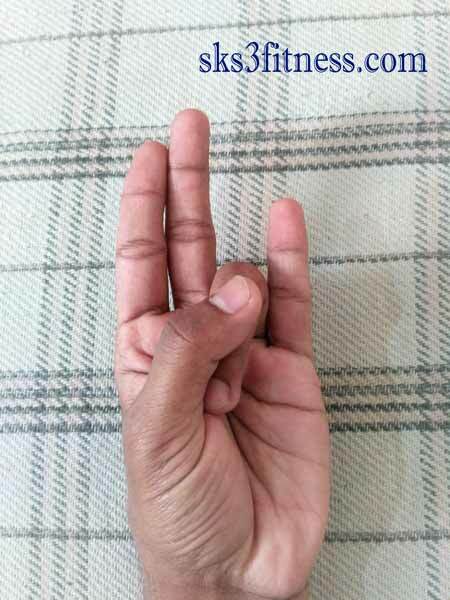 This mudra helps to produce heat in the body, good in winter season. This mudra increases fire element within body. And decreases Earth element in body. This mudra helps to reduce the body fat. This Yoga Mudra strengthens the eyes and improves vision.